Due to the aging of the global population and the derivative increase in aging-related non-communicable diseases and their economic burden, there is an urgent need to promote biomedical research and development on aging and aging-related diseases as a way to improve healthy and productive longevity for the elderly population. This task is urgent for every country. And indeed, the World Health Organization posited in its 13th Programme of Work for 2019-2023 that “Ensuring healthy ageing is an urgent challenge in all countries”. Israel shares in the problem and seeks to contribute to solutions via diverse initiatives and organizations. In order to help address the aging-related health challenges, Vetek (Seniority) – the Movement for Longevity and Quality of Life, is uniquely poised to advance biomedical aging and longevity research in Israel. Advised by leading Israeli and international scientists in diverse fields of biomedical aging and longevity R&D, supported by noted public figures and advocates, strategically situated and connected in the Israeli and international scientific and civic establishment – it advances the scientific research and development for the achievement of healthy longevity in Israel and internationally. The association’s main areas of interest include: education and awareness, raising public awareness about biomedical research and development dedicated to improve healthy longevity of the elderly population, improving the scientific, medical, social and institutional perception of the field; communication and support, providing assistance in recruiting support for the most promising and effective diagnostic and therapeutic R&D approaches, from specific R&D projects to establishing R&D programs and centers of excellence, connecting researchers in the field of biomedical research of aging and adjacent areas and other stakeholders; analysis and data processing, examining the entities active in the field in Israel and abroad, performing evaluation of R&D approaches to diagnosis and treatment, and providing recommendations regarding the most promising R&D directions, including data collection, curation, access, analysis, integration and sharing in the field of aging and longevity research. 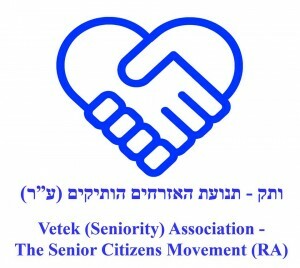 Recent actions of the Vetek association included co-initiating in cooperation with the “Disabled Not Half a Person” association, a special section for “Enhancing the research, development and education for the promotion of healthy longevity and prevention of aging-related diseases” as a part of the preparation of the Israel National Masterplan on Aging and co-organizing discussions in Knesset on this subject in 2018. Forthcoming actions include co-organizing the conference “International Perspectives in Geroscience – Israel” which will take place in the Weizmann Institute of Science on September 4-5, 2019, in cooperation with such organizations as American Federation for Aging Research (AFAR), the US Nathan Shock Centers of Excellence in the Basic Biology of Aging and others. Generally the Vetek (Seniority) – the Movement for Longevity and Quality of Life works to enhance longevity research and advocacy not only in Israel, but internationally and for that purpose forms strategic partnerships with like-minded organizations in Israel and abroad. It has formed a particularly strong strategic partnership with Israeli Longevity Alliance (ISRLA) jointly orgnaizing national and international conferences on longevity science, petitioning the decision makers and organizing events and publications in support of the longevity field. Currently the two associations share the same scientific advisory board composed of leading Israeli and international geroscientists, the same website http://www.longevityisrael.org/ and jointly perform most of the actions. 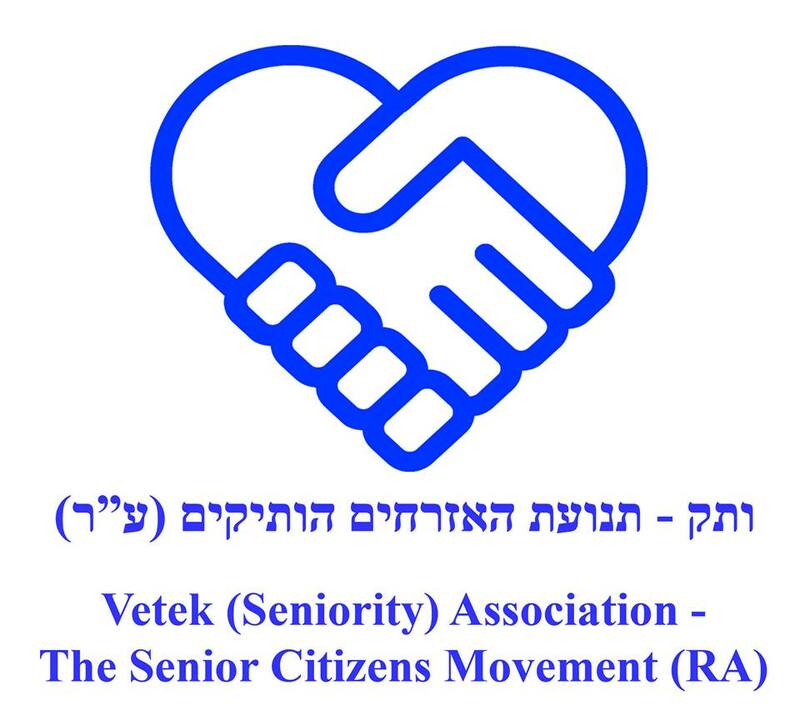 Yet, in Israel, the Vetek association also formed a strategic partnership with “Disabled Not Half a Person” association jointing advocating for longevity research, development and education. Internationally, the organization cooperates with the International Society on Aging and Disease (ISOAD), the International Longevity Alliance (ILA), Longevity International, American Federation for Aging Research and other longevity research and advocacy organizations. The association strives to further intensify its research and advocacy activities for the promotion of healthy longevity, in Israel and internationally.